Save $5 on Norelco Razor Replacement Heads with Code "011765"
*Coupon code 011762 valid up to 3 uses per customer through October 15, 2011. Code must be entered at time of checkout to apply discount. Discount only applies to Phillips Norelco Senso Touch Razors. Discount does not apply to pharmacy or photo orders, gift card purchases, taxes or shipping charges. Orders must be placed by October 15, 2011 at 11:59 p.m. Central Time to qualify. Timing will be determined by Walgreens server clock. Offer valid online only. *Coupon code 011763 valid up to 3 uses per customer through October 15, 2011. Code must be entered at time of checkout to apply discount. Discount only applies to Philips Norelco 7000 or 8000 Series Razors. Discount does not apply to pharmacy or photo orders, gift card purchases, taxes or shipping charges. Orders must be placed by October 15, 2011 at 11:59 p.m. Central Time to qualify. Timing will be determined by Walgreens server clock. Offer valid online only. *Coupon code 011764 valid up to 3 uses per customer through October 15, 2011. Code must be entered at time of checkout to apply discount. Discount only applies to Philips Norelco BodyGroom and other grooming devices. Discount does not apply to pharmacy or photo orders, gift card purchases, taxes or shipping charges. Orders must be placed by October 15, 2011 at 11:59 p.m. Central Time to qualify. Timing will be determined by Walgreens server clock. Offer valid online only. *Coupon code 011765 valid up to 3 uses per customer through October 15, 2011. Code must be entered at time of checkout to apply discount. 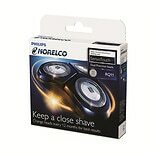 Discount only applies to Philips Norelco Replacement Razor Heads. Discount does not apply to pharmacy or photo orders, gift card purchases, taxes or shipping charges. Orders must be placed by October 15, 2011 at 11:59 p.m. Central Time to qualify. Timing will be determined by Walgreens server clock. Offer valid online only.